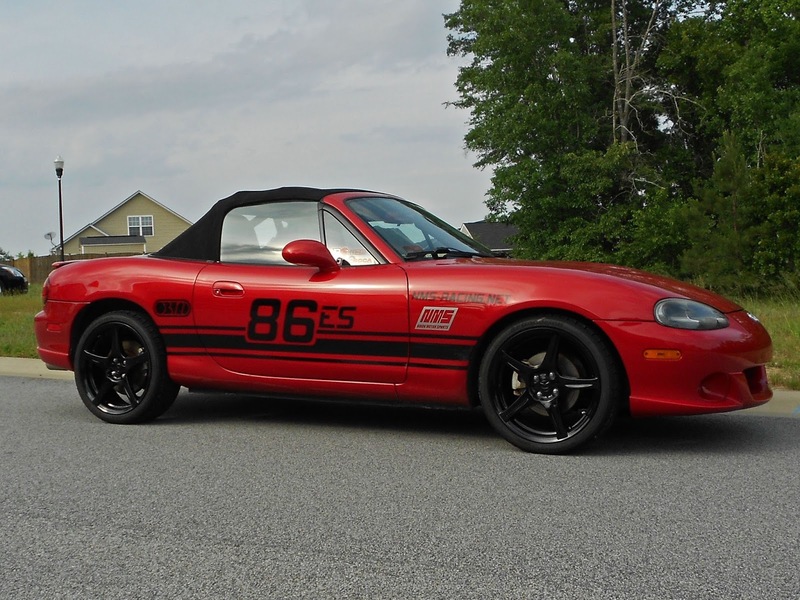 I took advantage of the long weekend and painted the 17" Miata wheels black to match the overall color scheme. Some of the wheels were getting chipped so this should also help keep them from flaking the original silver coating all over the place. Luckily I had the garage all set up as a paint booth because a hail storm rolled through right when I was finishing priming the wheels. 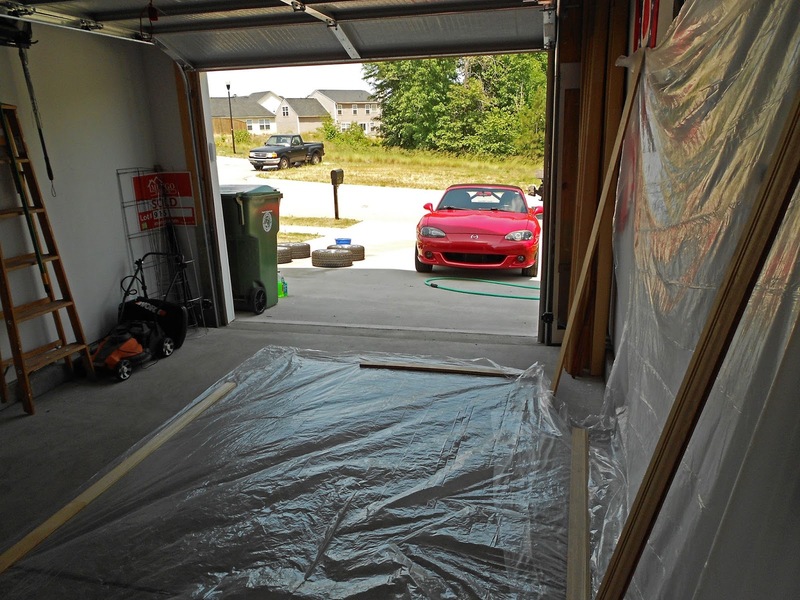 Paint booth all set up, wheels drying in the sun after being washed and the Miata and NMS team truck hang out and watch. All primed and drying while staying safe from hail. About 60 minutes per wheel went into taping off and carefully covering the areas (valve stems, tires, and areas that contact the hubs/lug nuts). 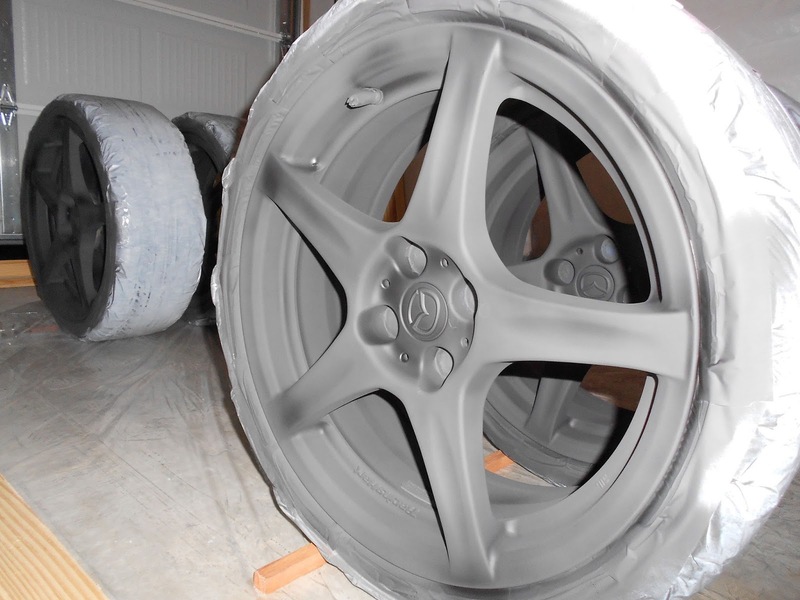 Storm has passed and the tires continue to dry with several coats of gloss black and clear coats. 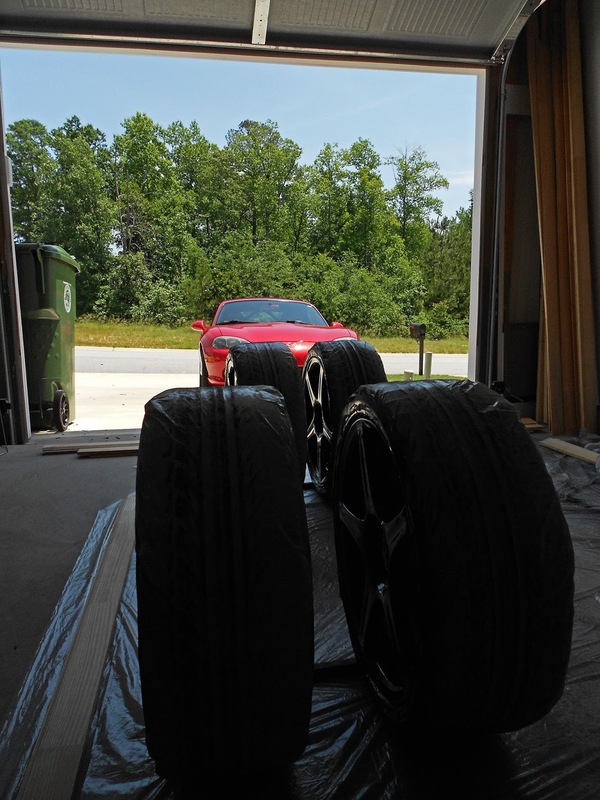 After many hours spent washing, taping, painting, and 24 hours of drying, they're back on the car just in time for the CCR SCCA autocross tomorrow at Carolina Motorsports Park just down the road in Kershaw, SC. Should be fun to get to autocross on the track even with the chance of rain. Looks good, and glad you missed the hail storm! Run by Run, Fun by Fun!